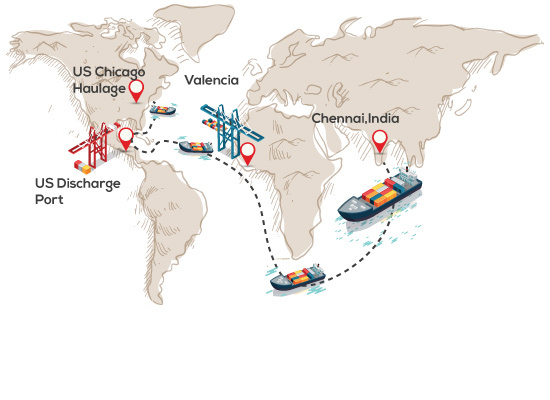 Shipping a cargo from one location to another may require multiple direct or indirect services. Creating a network of routes with multiple transshipment options is further complicated by varying freight rates that exist between ports. The business challenge is the ability to quickly create such routes that achieve the lowest cost with minimum transit times. SVM RNO (Route Network Optimization) is an optimizing tool that addresses the above challenges. It is scalable, fast and accurate in maintaining a profitable route catalog. In-built algorithms support simulations to allow one to study the impact of possible route changes, establishing the commercial feasibility of new services/routes.